İbrahim Apaydın, an engineer who was removed from his job as part of the Turkish government’s post-coup crackdown against its critics, says refugee camps abroad are filled with well-educated people hailing from Turkey. 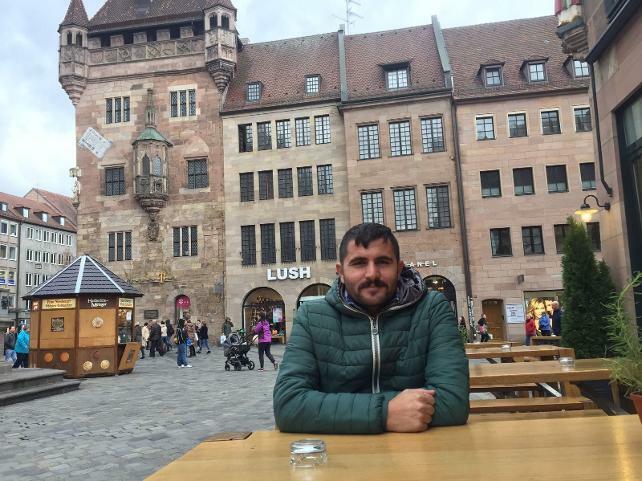 Dismissed from his job as an engineer at Istanbul Metropolitan Municipality, Apaydin claimed asylum in Germany fearing further persecution in case he returns back home. “The camps are filled with Kurds and Yazidis from all around the world, Alevis from Turkey and Arabs. We are 5 people in a room: 3 Kurds from Turkey and 2 Kurds from Iraq. There are also Bogazici graduates who speak two to three languages among us. It is very upsetting to see Turkey’s well-educated brains with good careers in these camps. AKP government ruined all our lives, dreams and previous efforts. I hope AKP and Tayyip Erdogan give account of what they have done to us before they die,” Apaydin told Cumhuriyet newspaper on Nov 2. Apaydin, also a member of Turkey’s leftist Public Workers Unions Confederation (KESK), said he is doing fine in refugee camps but still concerned over his friends’ safety back in Turkey. “It is like a university campus. We are engaged in political discussions. I mostly act as a moderator. The conditions are prettier in German refugee camps than in those in Greece. Our basic needs are well met. We can get out of the camp whenever we want. We have opportunity to learn German,” he elaborated on the conditions in the camp. More than 150,000 people have lost their jobs since last summer as part of the government’s crackdown against civil society in the aftermath of the July 15, 2016 failed coup, which targeted Turkey’s Gulen movement, Kurdish minority, leftists, liberals and many from other opposition groups. Thousands fled the country and many others tried to escape Turkey via illegal ways as the government cancelled their passports as part of its crackdown.